It was a dark and stormy night (make that a cool and rainy day), not fit for man nor beast. However, a work party was calling, and a few intrepid volunteers did work. 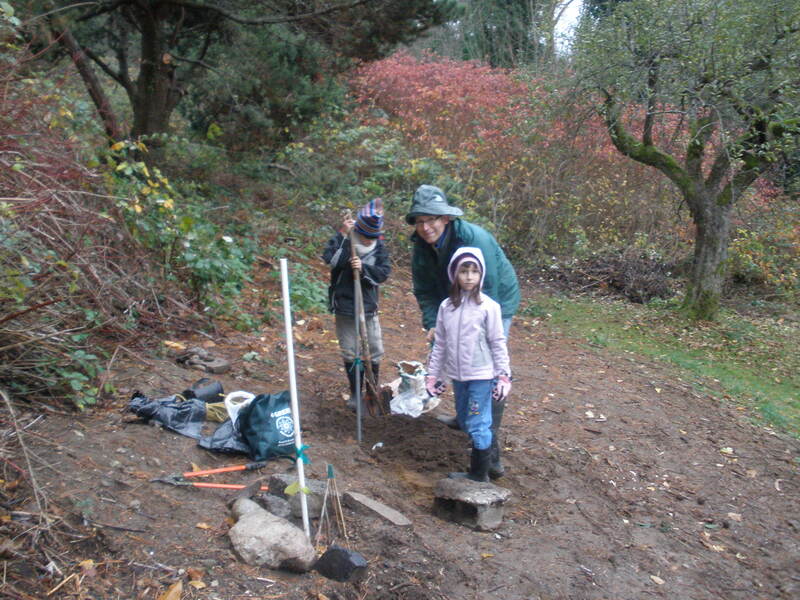 We raked leaves, set a line from the first grape planted last year for future grapes, and planted another catawba grape. 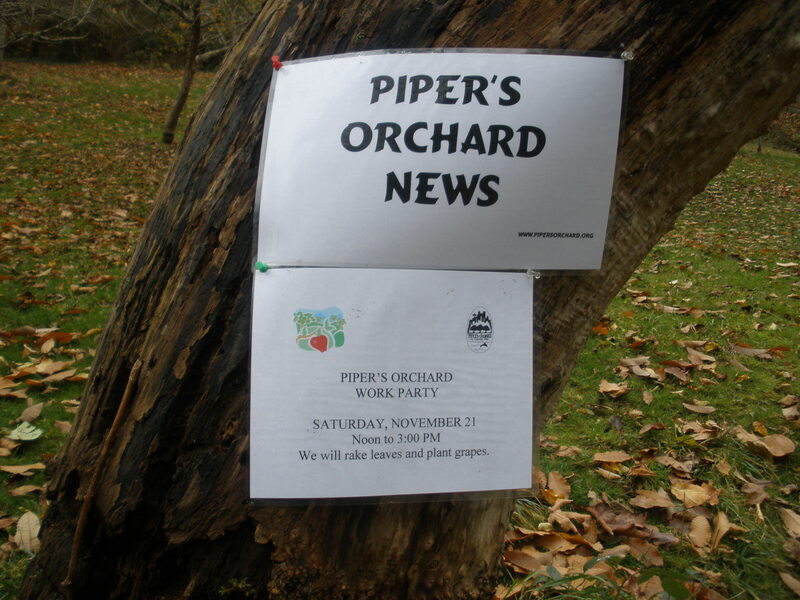 A Piper's Orchard News sign hangs nearby Piper's Creek Trail.Joan fights the temptation to jump in the pile of leaves. Andy completes the catawba planting, with Adam and Lilly admiring the work. 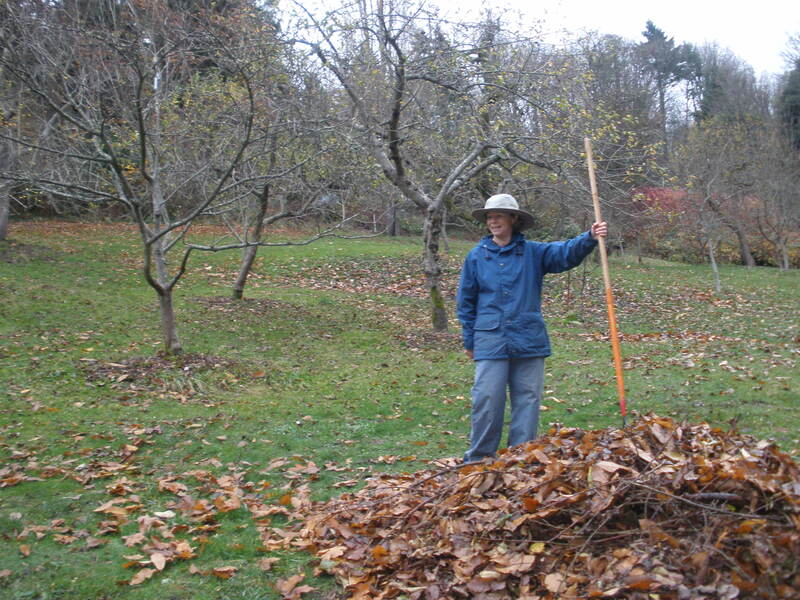 Joan's avoiding the temptation to jump in the leaf pile.